We're stuck on dial up - so after 3+ hours of searching - I came across your site. Thank you for all your hard work and effort to put this together for those of us you've never met. A very nice couple, who's children have grown and gone, gave us their above ground swimming pool (for our young ones to use). We don't know the age of it, only that the bottom rails have rusted out...and yes...we're having a devil of a time trying to "google" bottom replacement rails. Any suggestions? I would be able to send pics of the pool and the rails if that would help determine what we need...or is there some kind of DIY way of doing it (my hubby is very handy). Hi Tammy Bottom rails for older pools can be very difficult to find. I would start by calling every pool store within driving distance and see if any of them stock replacement parts. Every size pool will have a different arc in the bottom rails. Finding ones for your size pool is the most important part. The second thing to look at will be getting the correct number. On an 18' pool for example, some models will have 12 rails while others may have 11. The rails in the twelve pack will be shorter than the eleven set. If you can find the correct number and the correct arc you should be able to adapt just about any bottom rail to any pool. They may not fit the bottom connector and some serious modification may be needed but they can usually be made to work. The other option would be to search for inexpensive used pools in your area. 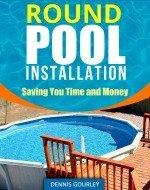 In many cases an entire pool can be bought for less than the cost of replacement parts. Tammy I am looking for bottom rails for a used pool I just purchased, I was just wondering if you had any luck in finding them? and if so were and how much?